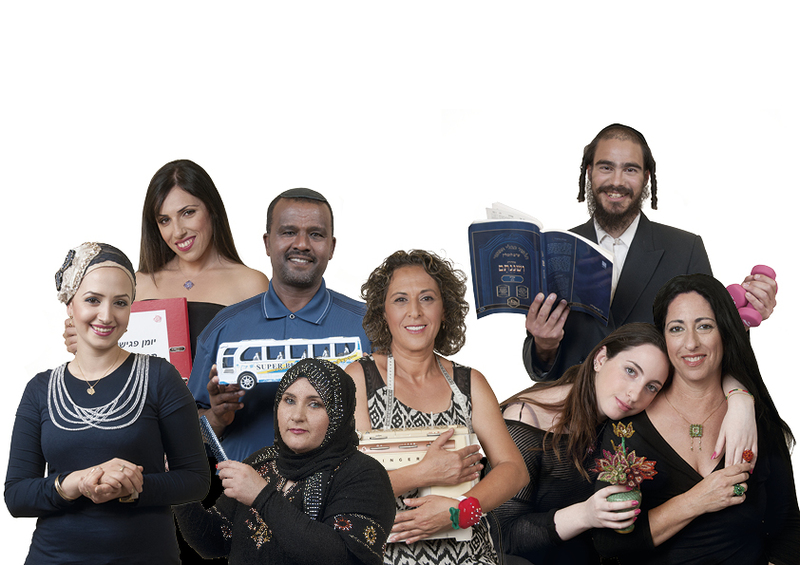 Be-Atzmi ("On My Own"), an Israeli NGO, assists chronically unemployed, underprivileged men and women throughout Israel to integrate into stable and appropriate employment opportunities that match their skills and aspirations. With Be-Atzmi's help, these individuals are able to return to work, stand on their own two feet and build a brighter future for themselves and their families. In Israel, there are over 500,000 unemployed men and women who are completely overlooked and not included in official unemployment statistics. In addition to the false, misleading stigmas of "choosing unemployment" or "being lazy", these individuals often suffer from ethnic, gender, and age discrimination. Many live in Israel's geographic and social periphery where job opportunities can be scarce and inaccessible. Trapped in such deep, chronic unemployment, they often give up and stop looking for work. - Workshops aimed at defining short and long-term employment goals, improving household budget management skills and increasing one's ability to act independently. As an organization, Be-Atzmi understands that workforce integration among Arab citizens of Israel, and more specifically, underprivileged Arab women, functions as both a requirement and a catalyst for social equality and coexistence. By addressing two of the most basic rights and needs of Arab women in Israel - employment and financial independence – Be-Atzmi is able to strengthen the societal infrastructure necessary for achieving long-term, peaceful coexistence among Arabs and Jews in Israel. As of 2014, Be-Atzmi implements three unique employment integration programs aimed at assisting Arab women and their families. These programs currently operate within over 50 Arab communities located throughout Israel's social and geographic periphery. MIFNE (In Hebrew: A Turning Point) - Advancing employment for various target populations: 18-35-year-olds, 45-60-year-olds, new immigrants, the Arab population, women and single mothers.